The Daily topped another month of Podtrac’s monthly ranking of the top 20 podcasts. Serial dropped from No. 2 in November to No. 14 in December. 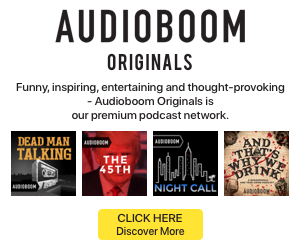 99% Invisible returned to the chart, ousting Dirty John, but all other podcasts on the list were the same as in the month prior. 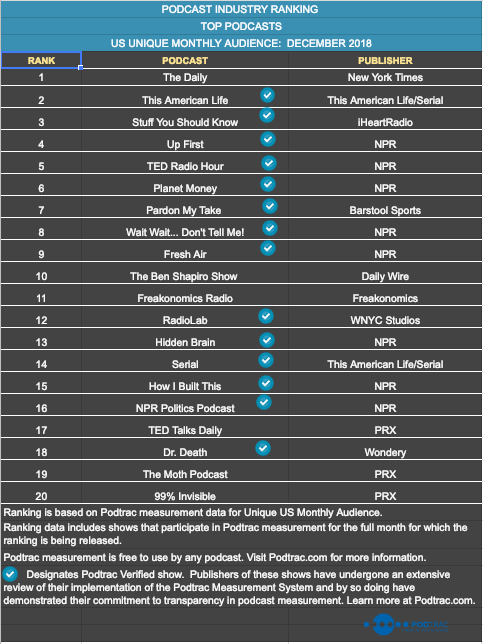 The rankings are based on Podtrac measurement data for unique U.S. monthly audience, and it includes shows that participate in Podtrac’s analytics program for the full month. Podtrac ceased including non-clients in its ranker, and it has since added an optional verification system for improved stats.